George Tait, Postie at Glenbuchat. George Tait was born in Aberdeen in 1906. 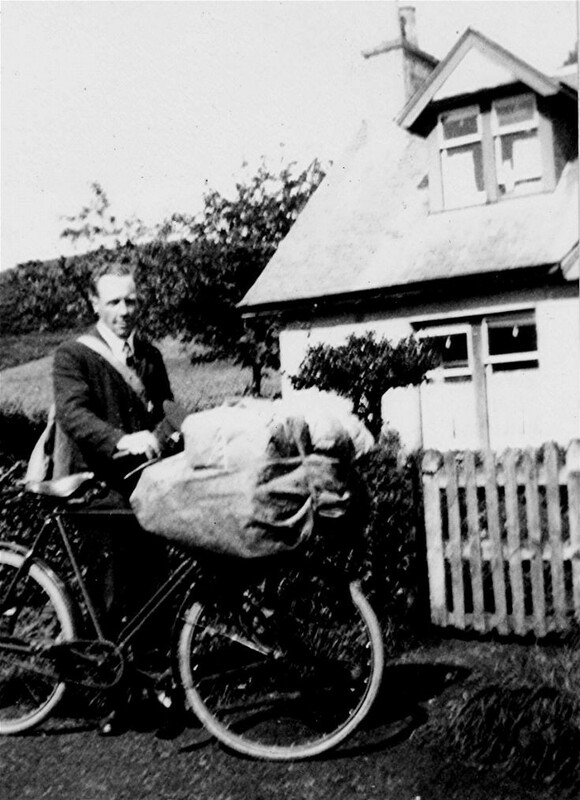 After training as a Telegraph Messenger, he was appointed Postman at Glenbuchat in 1925. After his marriage in 1935 he lived at Weavers Cottage. He served ion the RAF from 1941-1945 and when he was demobbed he went back to Glenbuchat and remained there until 1959 when the postal districts were amalgamated and mail vans took over from bicycles.